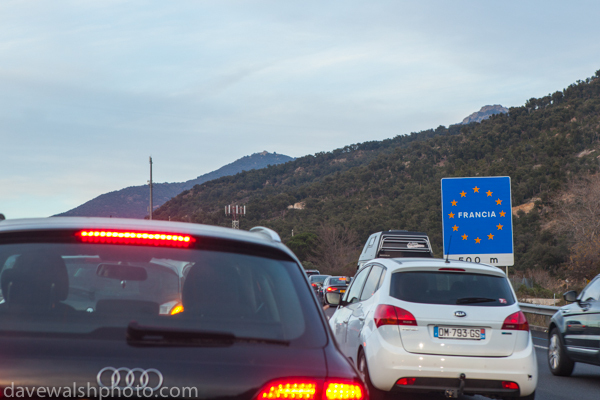 New Year’s Day 2016: Our car is one of thousands stalled on the AP-7 autopista, waiting to cross the Pyrenees into France. The fire has gone out of the bellies of most drivers, who’ve quit their frenzied switching of lanes and are now going through the robotic motions. First gear, handbrake off, roll forward, brake, neutral, handbrake on. Repeat. Everyone has realised there’s no easy way out of this, so they’re giving up the wheel to their passengers, having slow-moving picnics, or in the case of two cars in the lane next to us, have broken out hookas to smoke some shisha. A recovery truck goes by in the hard shoulder, carrying a VW Passat that has given up. We’re all here, nose to tail, thanks to the “border controls” that the French government, brought into force following the Paris November 13th attacks. In a previous article, I documented my recent slow crossing from Belgium into France. That crossing was rip-roaringly rapid in comparison to today’s torpid crawl. This is the real deal, with three 120 kilometre-an-hour lanes slowed to nothing, then funneled into one. It’s a farce. Fish and Ships: What’s On Your Plate? 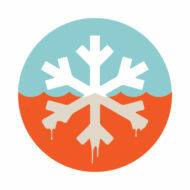 Cold Reality, Proudly powered by WordPress.